Update: I somehow reposted this from a couple of years ago. 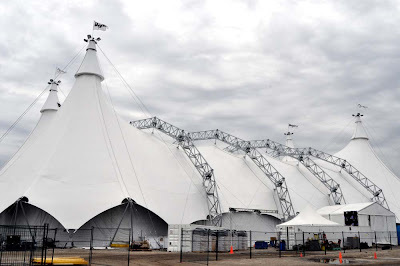 Sorry it is not back in Toronto yet. 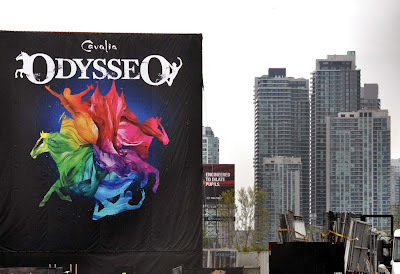 Even the tent is extraordinary, the white tent on Cherry Street that holds the new production of Cavalia Odysseo has a metal exoskeleton holding up the 4 peaked covering - it's not a tent, it's a castle. Beside the white big top set up in the Portlands is a line of smaller tents, probably holding the 71 horses that are involved with this show. 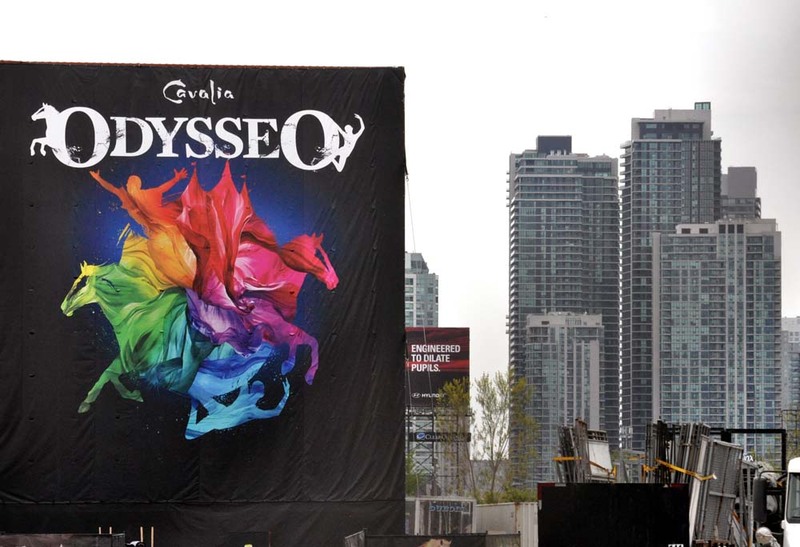 Cavalia's second show Odysseo gallops into Toronto starting May 15, 2012.